Our first sock designed specifically for training in the box. Raised dots on the upper part of the sock deliver extra protection from the friction of rope climbing. Increased compression throughout helps with blood circulation and support. Light and fast: Weight saved – but not at the expense of comfort – to deliver a sock perfect for training in the box. Ultimate protection: Raised dots of material on the upper part of the sock deliver extra protection from the friction caused by the rope when climbing. Train in comfort: Delivers increased compression aiding blood circulation and reducing swelling. 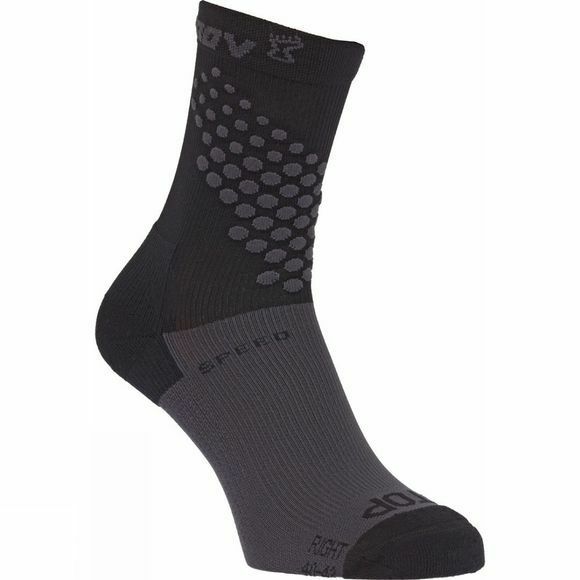 Increased durability: Utilizing fast-wicking and durable materials ensures the sock will last the test of time.